A Modern Family is about a television presenter on a popular car show in England (almost explicitly James May), his wife, Prudence, and their children Bobby (15) and Ellen (slightly older). They live in upper-class London (not extravagantly so). Being a family of four with one girl and one boy, they rang to me, at least in outward appearances, as the quintessential traditional family. Conceptually, the story first struck me as a better idea for a short story than a novel. A book centered around a semi-popular celebrity was strange to read at the start. I wondered how in the hell Adams was going to sustain the concept, but then he does. It develops. It’s thematic. The characters are varied but conceptually linked, and there were several troubling emotional moments. Stylistically, there is something powerful in the disorientation in the prose. Adams often writes like an alien chronicling human culture. But it is through the straightforward, unbiased presentation of information that we view ‘modern life’ in a new way—for how strange it is. 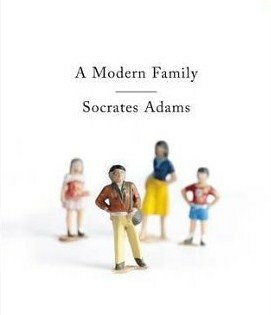 It’s easy then to extend Adams’ critique of the family to society as whole. We are always wanting, we could always be a little happier if we had something else, the more impossible the better. We are first and foremost consumers and then family members, students, employees, etc. Purchase A Modern Family HERE.